Social Security recently issued SSR 18-3p dealing with how benefits may be denied, or terminated, if a person fails to follow prescribed medical treatment without good cause. There is evidence that the claimant did not follow prescribed treatment. One key factor in number 2 above is that the prescribed medical treatment must come from a treating medical provider. It cannot be a suggestion by a consultative examiner or hearing medical expert. Another important note is that medical treatment does NOT include lifestyle modifications such as dieting, exercise or smoking cessation. 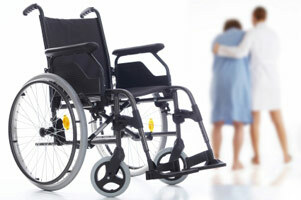 The focus is upon medication, surgery, therapy, use of medical equipment and use of assistive devices. Once there is a determination of the failure to follow prescribed treatment, SSA will ask two more questions: Would treatment be expected to restore the ability to work? Was there good cause for the failure to not follow prescribed treatment? ‘Whether treatment would restore the ability to work’ is a medical question. However, the ruling allows the adjudicators and administrative law judges to make that determination on their own. They do NOT have to consult with a medical expert to make that decision. It is not good cause to reject a surgical procedure because the Claimant feels success is not guaranteed or because the Claimant knows of others for whom the procedure did not work. This is very often the reason people reject surgery and it will not suffice as good cause. Other – other reasons for failing to follow prescribed treatment will be decided on a case-by-case basis. If “Good Cause” is found, the failure to follow prescribed treatment will not be a bar to benefits. SSA Will use this in all applications, in fraud reviews and in Continuing Disability Reviews. Therefore, people working with clients receiving SSDI or SSI benefits must make certain that they are following prescribed treatment. Social Security Disability regulations and rulings can be complex and do change. Just contact us to ar- range time for us to visit your agency or community group and provide training on how this law impacts your clients! We continue to conduct our trainings at agencies throughout our community. If you would like us to come meet with your staff to discuss Social Security’s programs and operations, and how to more effectively help clients, please give us a call and we would be happy to schedule in-service trainings for no fees. To receive this newsletter by mail: Email your name and mailing address to us here: Subscription request Thank you.